Emanuel Pinheiro left Maceió, Alagoas, at the age of eleven, hoping to have a better life. At fifteen, he entered a bakery kitchen just to help clean up, and in less than three months, was promoted to an assistant position. His success and growth were enormous that soon he was called to work in the city of Toulouse, in France. Since then, he has gained the world. 1) Tell me about your career? 2) What was the biggest challenge you have faced in the gastronomy world? It was to participate in the World Cup of Pâtisserie. Chef Philippe Brye encouraged me to participate. The challenge consisted in making a sculpture of chocolate, a dessert and entremets. The challenge lasted six hours and I arrived in second place, this made me very happy. It was a dream to be there! 3) What is your favorite dessert? 4) In your opinion, what does it take to become a successful Chef? "The kitchen has the power to transform people, as it has transformed me. The kitchen educates. You have to have discipline to execute the tasks, respecting the methods and techniques. " In addition, it is essential to respect the Head Chef. Be persistent, humble and polite. 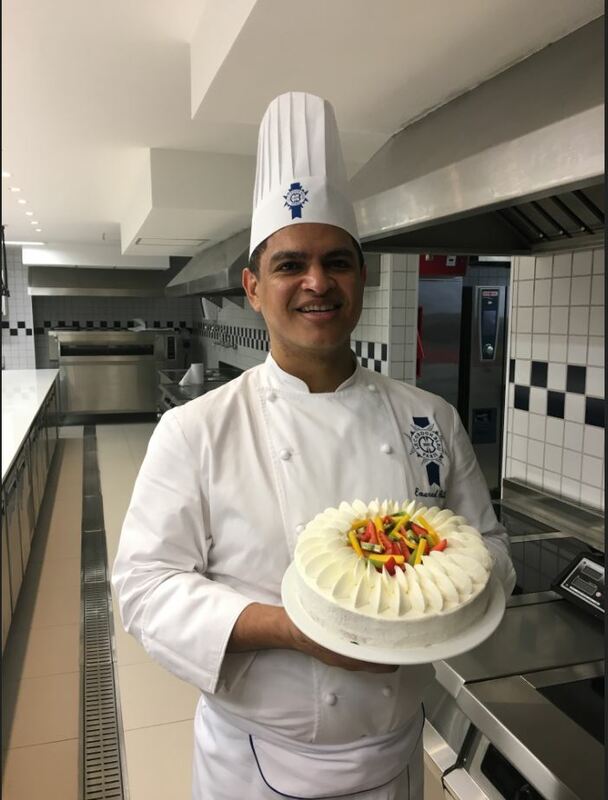 5) What do you want to pass on to your students at Le Cordon Bleu? In theses 20 years of profession, I've always had a French Chef guiding me. This made me respect the French savoir-faire and follow the bases of Pâtisserie. I believe in giving back everything that was taught to me, so nothing is fairer than passing on the knowledge I have acquired to my students.